Welcome newly engaged couples! This week we’re sharing 10 tips to help you navigate the first stages of your engagement. Scroll through for more! He put a ring on it, now insure it! 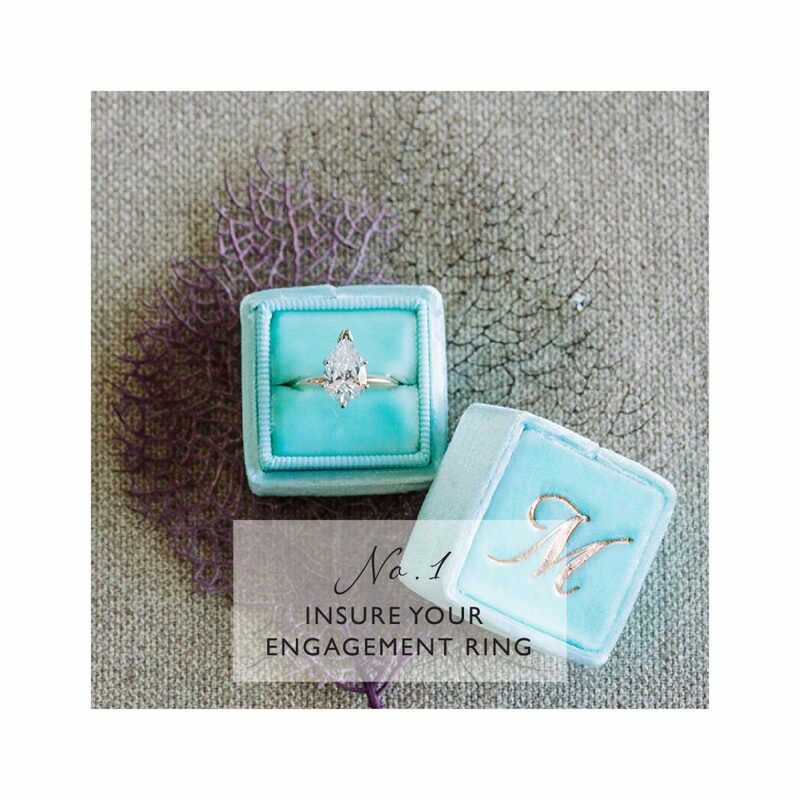 Protect your gorgeous bling by adding your engagement ring to your homeowner’s insurance policy. Instant peace of mind! 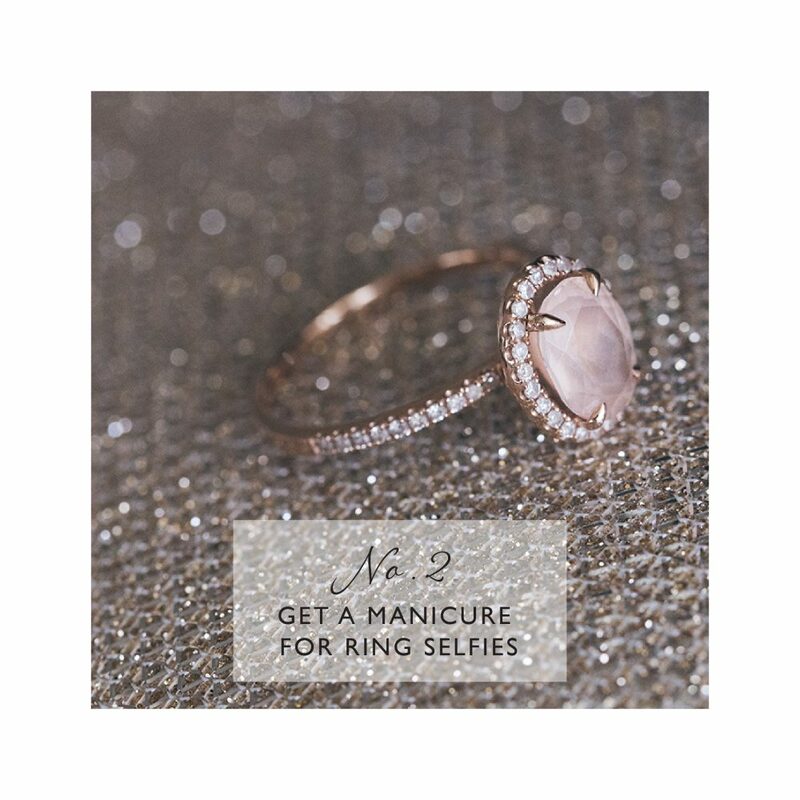 Make an appointment at your favorite nail salon and indulge in a mani – you want your hands and nails in tip-top shape for engagement ring selfies! If you don’t already, follow @ringselfies on Instagram for some major inspiration on how best to show off your new ring. 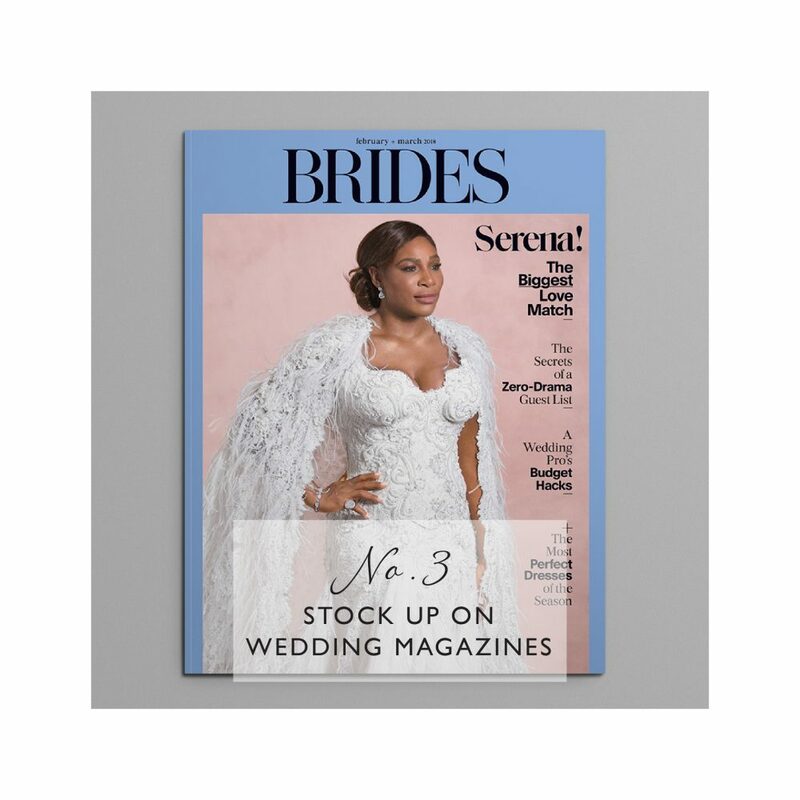 Have you been secretly hoarding a stack of wedding magazines? Now is the time to bust them out and add more to the collection. Some of our favorite wedding titles include Bride’s for fashion, Martha Stewart Weddings for details and Destination I Do for gorgeous destination inspiration. In addition to wedding titles, consider drawing inspiration from interior design magazines: Domino, Lonny, House Beautiful and Elle Decor are a few of our faves. 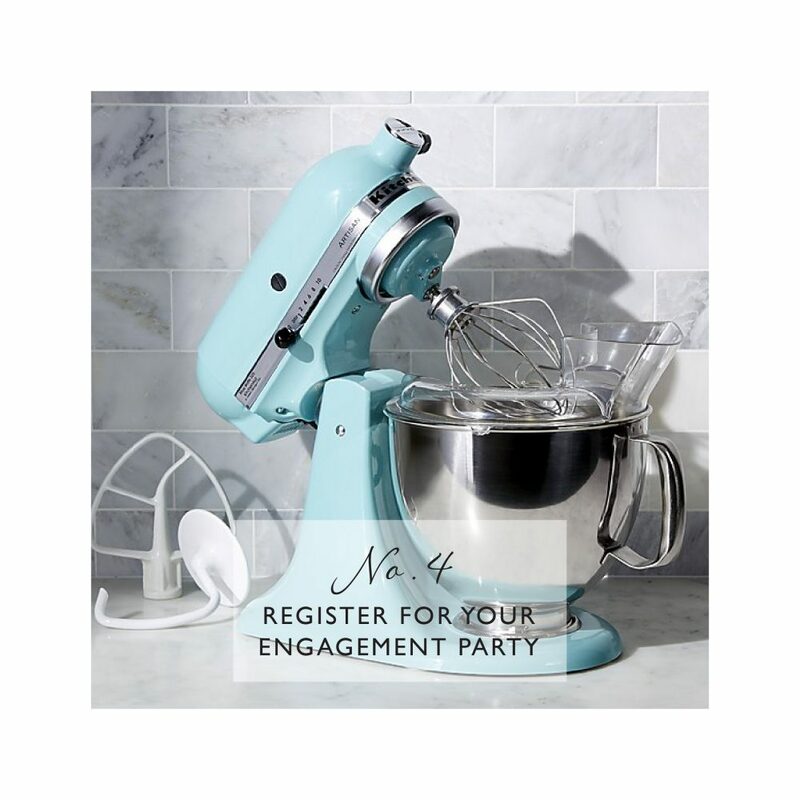 If you are having an engagement party, now is the time to register for gifts! Your favorite department store is a great place to start, but don’t forget to check out places like Zola or Wedding Wire for more modern options – think honeymoon experiences, wine clubs and cash funds for a new home. 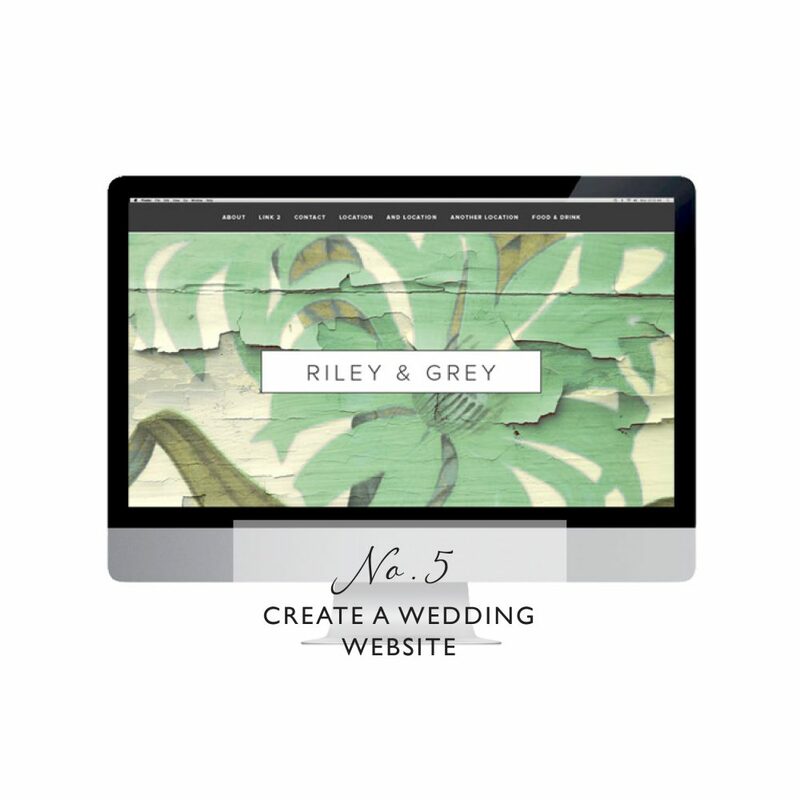 Create a wedding website to share crucial info with your guests. There are loads of options for personalization and unique functions. Some of our favorites include Riley and Gray, Appy Couple and Joy. 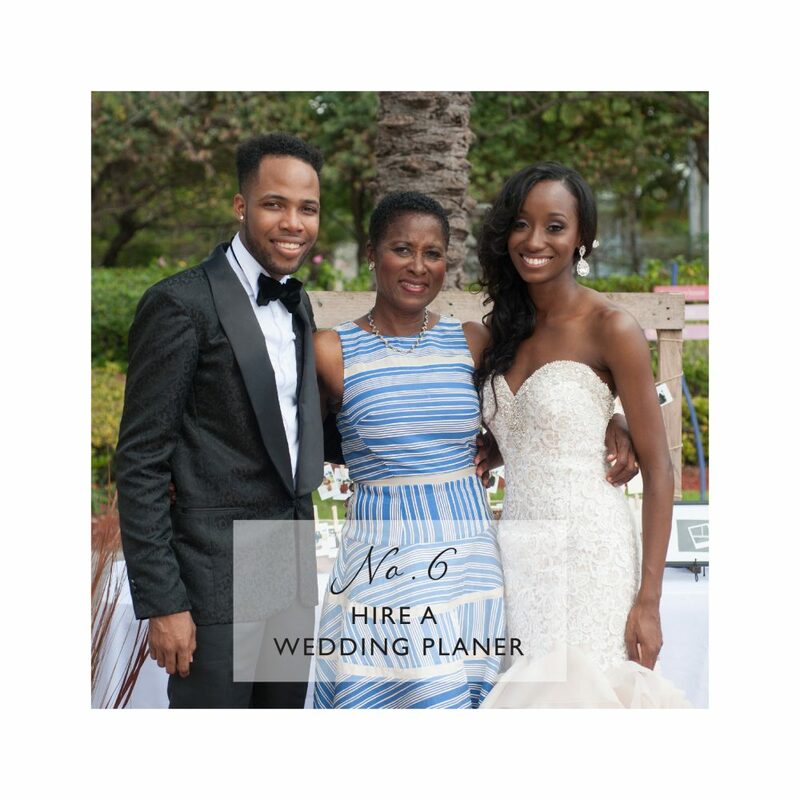 Interview and hire a wedding planner. A wedding planner will put your mind at ease and allow you to enjoy your big day! If you have your heart set on a Bahamas wedding, we’d love to hear from you! We plan and design weddings anywhere in the Bahamas! If you are planning a destination wedding, book flights now for a site visit to determine what will work best for you and your guests. 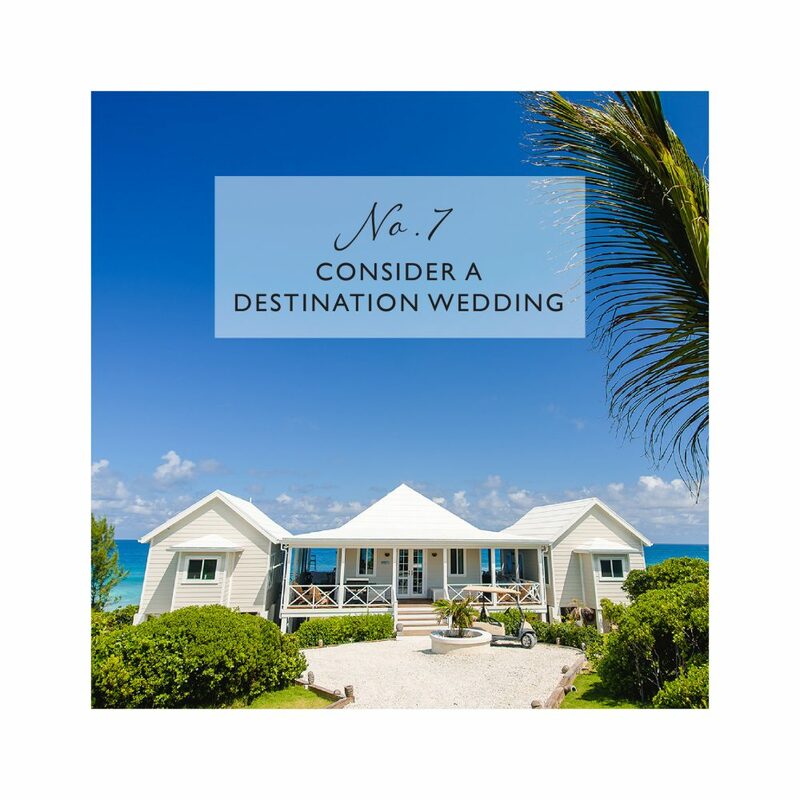 Planning a Bahamas wedding? We accompany our clients on all site visits, no matter where you wed in the Bahamas. 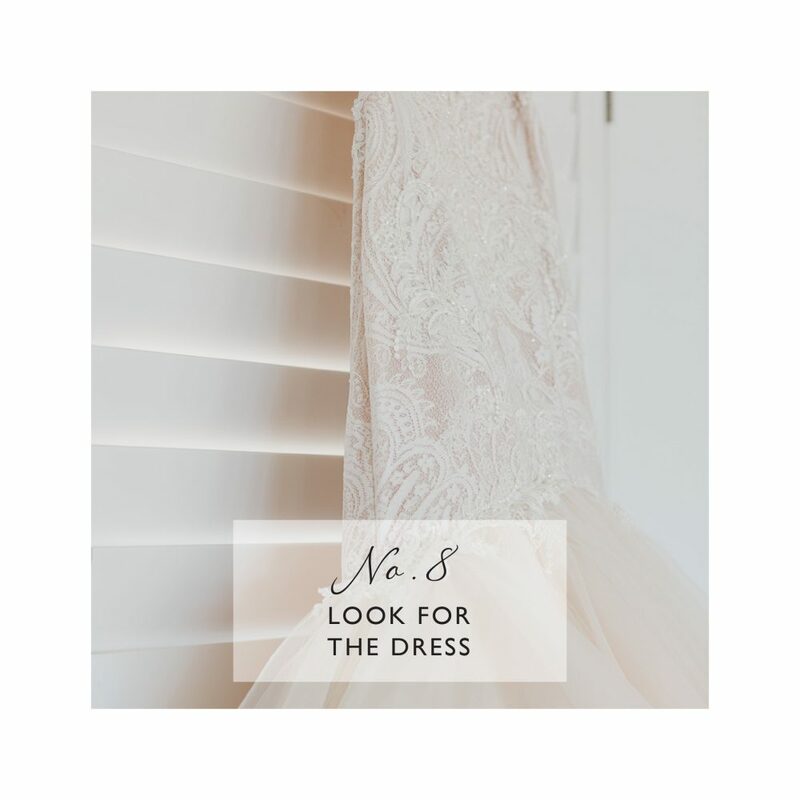 Once you have picked a date and booked your venue, make some bridal salon appointments to pick the one! Bring tear sheets of some dress styles you love along with one or two of your favorite people who will help you choose. Need some inspiration? See our posts from NY Bridal Fashion Week here, here, here, here and here. After booking your photographer, schedule an engagement portrait that you can use for save the dates, your wedding website or holiday card. 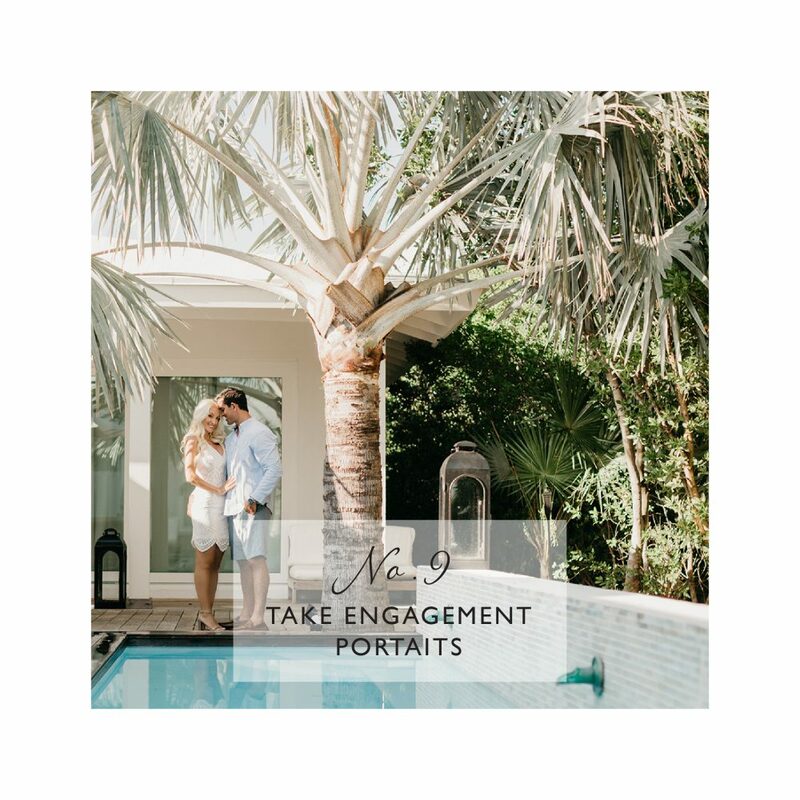 Engagement portraits are also a great way to get to know your photographer and get comfortable in front of the camera before your big day. 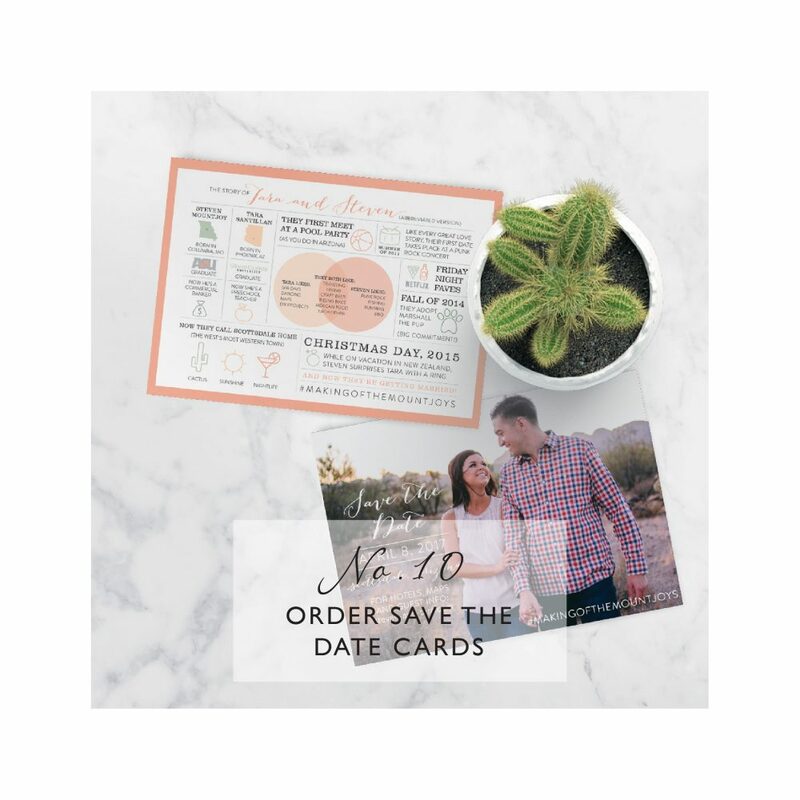 Order save the date cards to let your guests know the details of your big day! Plan on sending at least six months prior to the wedding. Give yourself more time if you’re inviting international friends and family or you’re hosting a destination wedding. Time is of the essence when planning a wedding, especially a destination wedding. If you have your heart set on a wedding in the Bahamas, contact us now! We love assisting couples in the planning and design of their dream wedding in our little slice of paradise.